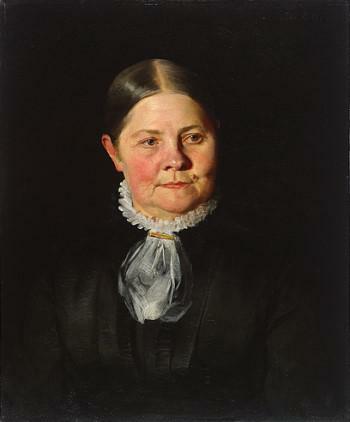 In the fall of 1846 Lucy Stone informed her family that she intended to become a women’s rights lecturer. Her father and brothers were supportive, but her mother and sister tried to dissuade her. Stone knew that she would be reviled, even hated by some. Both [Stone and Brown] wished for practice in public speaking. They asked Professor Thome, the head of that department, to let them debate. He was a man of liberal views – a Southerner who had freed his slaves – and he consented. Tradition says that the debate was exceptionally brilliant. More persons than usual came in to listen, attracted by curiosity. But the Ladies’ Board immediately got busy, St. Paul was invoked, and the college authoritiues forbade any repitition of the experiment. A few of the young women, led by Lucy, organized the first debating society ever formed among college girls. At first they held their meetings secretly in the woods, with sentinels on the watch to give warming of intruders. 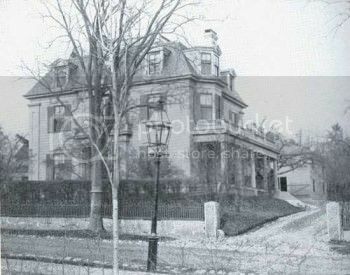 When the weather grew colder, Lucy asked an old colored woman who owned a small house, the mother of one of her colored pupils, to let them have the use of her parlor. At first she was doubtful, … but when she found that the debating society was made up of girls only, she decided that it must be an innocent affair, and gave her consent. Stone gave her first public speeches on women’s rights in the fall of 1847. 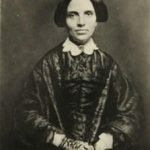 Abby Kelley persuaded her to become a lecturing agent for the Massachusetts Anti-Slavery Society in June 1848, stating that the experience would give her the speaking practice she still felt she needed before beginning her women’s rights campaign. Stone proved to be an effective speaker; she was described as “a little meek-looking Quakerish body, with the sweetest, modest manners and yet as unshrinking and self-possessed as a loaded cannon.” In autumn 1848, she received an invitation to lecture for the women who had organized the Seneca Falls and Rochester women’s rights conventions earlier that summer. In April 1849, members the Philadelphia Female Anti-Slavery Society invited Stone to lecture for one of their events. While Stone was there, Lucretia Mott organized Pennsylvania’s first women’s rights meeting, on May 4, 1849. 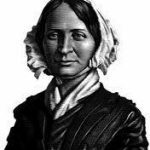 With help from her abolitionist friends, Stone led Massachusetts’ first petition campaigns for the right of women to vote and hold public office. Wendell Phillips drafted the first petitions, and William Lloyd Garrison published them in his abolitionist newspaper Liberator for readers to copy and circulate. When Stone sent petitions to the legislature in February 1850, more than half were from communities where she had lectured. She also spoke in front of a number of legislative bodies to promote laws that gave more rights to women. The result of that meeting was the first National Women’s Rights Convention, held in October 1850 in Worcester, Massachusetts, which expanded into an annual series of meetings that brought the early women’s rights movement to the forefront. The Convention combined both male and female leadership and attracted supporters from other social reform movements. Speakers lectured about expanded education and career opportunities for women, equal wages, and marriage reform. Lucy Stone helped organize the first eight meetings of the National Women’s Rights Convention, presided over the seventh, and was secretary of the Central Committee for most of the decade. On October 14, 1853, Stone and Lucretia Mott addressed the first women’s rights meeting held in Cincinnati, Ohio, arranged by local businessman Henry Blackwell, and he was immediately smitten. 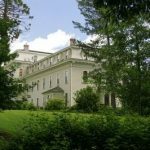 Although Stone told him she did not wish to marry because she did not want to give up control of her life, Henry Blackwell began a two-year courtship of Stone in 1853. During their courtship, conducted primarily through correspondence, Stone gradually fell in love and in November 1854 agreed to marry Blackwell. To calm Lucy’s misgivings, they drew up a private agreement that would protect her financial independence by hiring a trustee to control her assets. 1. The custody of the wife’s person. 6. Finally, against the whole system by which “the legal existence of the wife is suspended during marriage,” so that in most States, she neither has a legal part in the choice of her residence, nor can she make a will, nor sue or be sued in her own name, nor inherit property. The Protest was then published in newspapers across the country, and it inspired other couples to make similar protests part of their wedding ceremonies. Stone also kept her maiden name; she viewed the tradition of brides taking their husband’s surname as another measure in the legal annihilation of a married woman’s identity. Henry and Lucy’s only child, Alice Stone Blackwell was delivered by Henry’s sister Dr. Emily Blackwell September 14, 1857. Alice would become a leader of the suffrage movement, and she wrote the first biography of her mother, Lucy Stone: Pioneer Woman Suffragist. 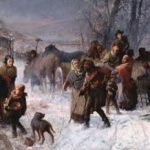 In 1858, while the family was living temporarily in Chicago, Stone miscarried and they lost a baby boy. In 1863, Stone assisted in establishing the Women’s Loyal National League to help pass the Thirteenth Amendment and thereby abolish slavery. It was organized by Elizabeth Cady Stanton and Susan B. Anthony. In the largest petition drive in the nation’s history up to that time, the League presented nearly 400,000 signatures on petitions to abolish slavery to Congress. The League was the first national women’s political organization in the United States. It marked a continuation of the shift of women’s activism to political action and a formally organized women’s movement and contributed to the development of a new generation of activists for the women’s movement. In November 1869 she helped form the American Woman Suffrage Association (AWSA), whose founders supported securing the right to vote for African American men before women. The AWSA also built support for a women’s suffrage Constitutional amendment by winning woman suffrage at the state and local levels.